Cassia cinnamon i.e. Cinnamomum cassia is also known as Chinese cinnamon and is one of the most popular varieties of cinnamon. Cinnamon has been widely used as a spice all over the world and is mainly obtained from the barks of the cinnamon tree species. The other variety of cinnamon which is popular is Ceylon cinnamon i.e. Cinnamomum verum/zeylanicum. How to differentiate between powdered Cassia and Ceylon cinnamon? Coumarin is an organic compound, belonging to the class of benzopyrones and is naturally found in many plants. Coumarin was first isolated from tonka beans in 1820. It is present in high concentration is many plants such as vanilla grass, sweet woodruff and Cassia cinnamon. Coumarin is known to be moderately toxic to the liver and the kidneys, with an LD50 value of 275mg/kg. This compound is metabolized differently in mice, rats and humans. In humans, it forms 7-hydroxycoumarin while in rats and mice it forms 3,4-coumarin epoxide. Though cassia cinnamon is one of the most popular varieties of cinnamon, however, health concerns exist regarding Cassia cinnamon due to the high coumarin content. The German Federal Institute for Risk Assessment (BFR) states that 1 kg of Cassia cinnamon powder contains about 2.1-4.4 g of coumarin. This is an estimate and the quantity is known to be below 10g per 1 kg and varies based on samples used. BFR has established that tolerable daily intake of coumarin is 0.1mg/day. However, it also states that a higher consumption for a shorter period is not dangerous. BFR has cautioned against the consumption of foods which are rich in coumarin and suggested the use of Ceylon cinnamon instead of Cassia cinnamon as it contains very little coumarin. Cassia cinnamon may contain upto 1% coumarin (the % varies from sample to sample) while Ceylon cinnamon has only 0.004% coumarin. 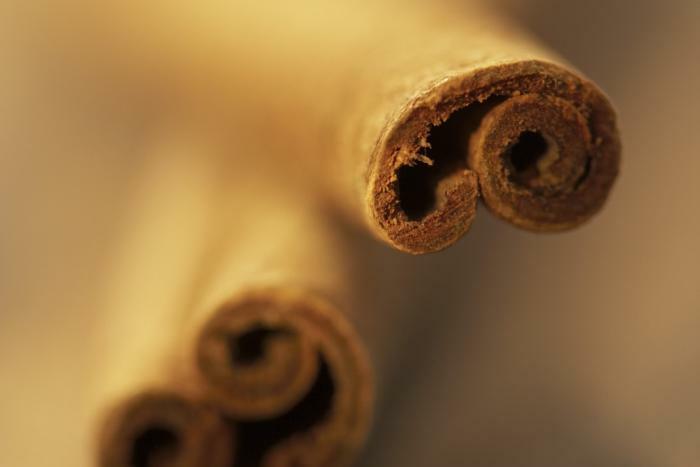 A pertinent observation was made by a group of scientists who analyzed the coumarin levels in 91 cinnamon samples from various stores in Germany. They found that there is a great variation in the coumarin levels amongst the different bark samples of Cassia cinnamon. Even in the bark samples obtained directly from Indonesia, there was a great difference in the coumarin levels. This study also confirmed that Cassia cinnamon contains the highest level of coumarin while Ceylon cinnamon contains the lowest quantity of coumarin. On average, Cassia powder contains 63 times more coumarin than Ceylon cinnamon. Again, the number may change based on samples analysed. Cassia sticks, on the other hand, contain 18 times more coumarin as compared to Ceylon sticks. Although it is possible to distinguish the different types of cinnamon sticks, it is impossible to do so in the case of cinnamon powder. They concluded stating the need to study the various factors which affect the coumarin levels in cinnamon. The cytotoxic coumarin present in Cassia cinnamon has been linked to liver disease by numerous studies. A study carried out on rats and mice showed elevated serum levels of bile acid. This was attributed to the expression of an enzyme known as cholestase which is a marker of hepatocellular damage or altered liver function. Individuals who are suffering from liver damage or are taking hepatotoxic drugs should abstain from consuming Cassia cinnamon in large amounts. People who are sensitive to cinnamon, as well as pregnant and lactating women, should not consume cinnamon. The US National Library of Medicine has advised against excessive consumption of cinnamon along with medicines which are known to cause liver damage. This might enhance the chances of liver damage. Another study carried out to check the liver damage caused by coumarin-bases anticoagulants has shown that coumarin could be particularly toxic to the liver. The study was based on a patient who developed severe hepatitis (inflammation of the liver). It was a case of coumarin-induced hepatitis as the doctors identified a link between the start of the coumarin-based anticoagulant drug and the developed of hepatoapthy. After the drug was discontinued, there was improvement in the liver function. On re-exposure to the drug, there was a recurrence of liver dysfunction, thus highlighting the damaging effects of coumarin and its derivatives. The Food Safety and Standards Regulation, 2011 has reported that a prolonged and repeated use of Cassia cinnamon can result in severe hepatotoxicity in adults. They have also stated that human ingestion of Cassia cinnamon can result in severe purging. Cassia toxicity can also result in acute hepato-myo-encephalopathy (build-up of toxins in the brain). In a study carried out in India, it was observed that this fatal multi-system disease is caused by a phytotoxin from Cassi occidentalis. The consumption of beans of this plant resulted in the development of this fatal illness in children. Thus, consumption of Cassia can result in outbreaks of hepatomyo encephalopathy syndrome. It is difficult to differentiate between the powdered varieties of cinnamon. 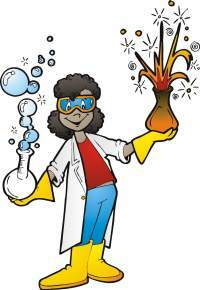 However, a few tests have been designed which can help to differentiate between them. The addition of tincture of iodine results in no change in pure cinnamon of good quality; however, if cassia is mixed with the tincture, a deep blue tint is produced. The intensity of the tint indicates the proportion of cassia. Thus, this simple test can help differentiate between the two varieties. It is very important to ensure that you are purchasing the correct variety of cinnamon for consumption. The excessive consumption of Cassia cinnamon can result in severe liver damage and other complications. Can Cinnamon Help in Case of High LDL Levels?